VENTS is worldwide ventilation market leader well-known for its unique research and development centre and the largest production facility in Europe. The outstanding quality of VENTS ventilation equipment meets the most stringent international standards and has been certified by reputable international benchmarking experts who rate climatic equipment. The VENTS products are sold in over 90 countries contributing to the company’s share of 10% of the global ventilation market. Founded more than 15 years ago the company pursues an active development policy adopting the latest advances in the climatic technology and implementing its own innovations. All the above would not have been possible without the VENTS team of experts – its most valuable asset. It is their expertise and commitment which daily contribute to the company’s leadership. 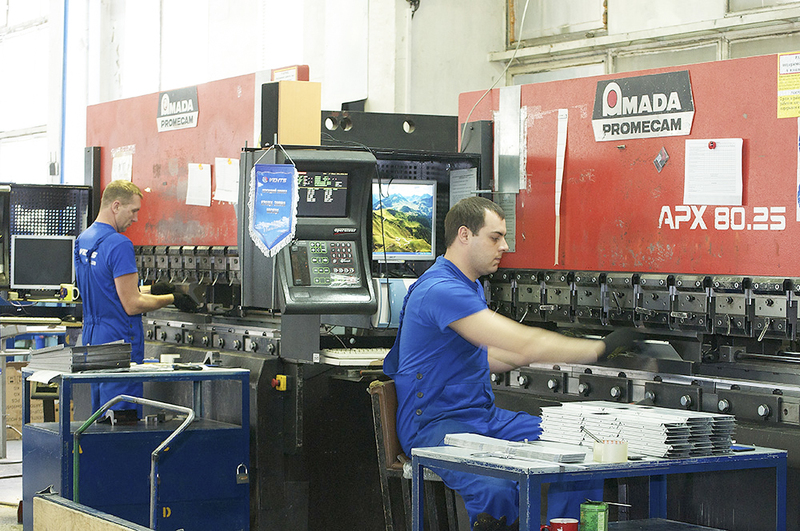 The company employs more than 2,000 people. To encourage performance VENTS has adopted the best social security standards and sticks to that policy. The efficient implementation of the company’s sustainable social initiatives is based on a continuous dialogue with the staff and careful assessment of their ideas and suggestions. The employees are offered free shuttle bus services at the beginning and at the end of the working day and the parking places at the factory area. All the VENTS employees are offered extra medical insurance to cover medication purchases as well as outpatient and inpatient treatment in case of an insured event. The company employees are offered subsidized lunch meals at the canteen with a cafeteria which also offers special prices on a range of juice, ice-cream and pastry. 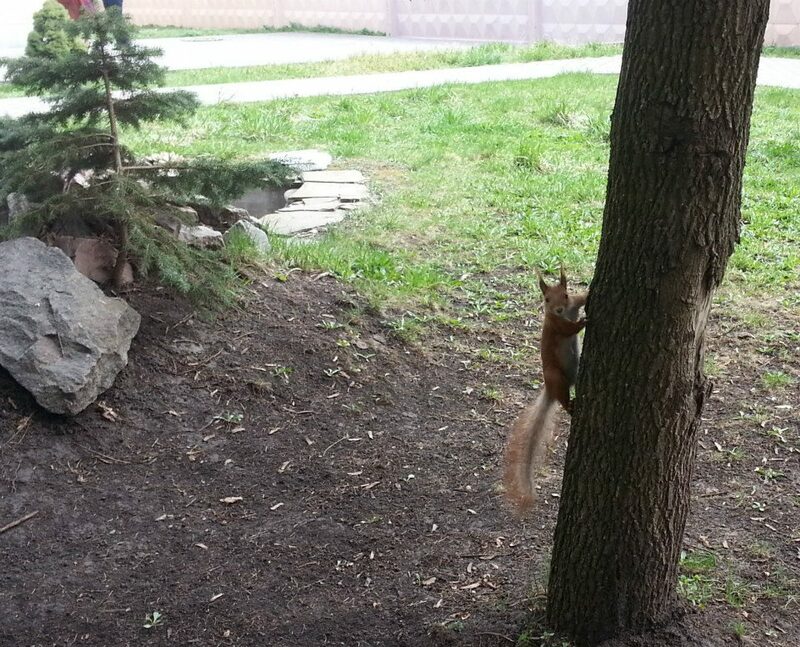 The territory surrounding the office blocks and production facilities has shady mini-parks ideally suited for lunchtime relaxation while watching squirrels which fancy our 40-year old blue spruces. In building its team VENTS always relies on professionalism, creativity and commitment to professional education and development. The company’s highly efficient HR department takes care of all its recruitment needs without enlisting third-party services. Our human resources managers always scrutinize the candidates’ resumes for ideal matches while always on a lookout for bright young talent who are just starting up the career ladder. We place tremendous emphasis on personal growth, in-house training and continuous professional development of our staff. This strive is reflected in various loyalty-building programs and incentives which encourage all the viable and promising ideas on boosting the production efficiency and streamlining labour management. The company actively cooperates with vocational schools and higher educational establishments enabling their students to undergo on-the-job training, process practice and pre-graduation internship at the VENTS facility – the largest ventilation equipment production factory in Europe. In addition to that each year the VENTS experts team up with the academic staff of Kyiv National University of Construction and Architecture to vote on the finalists of the annual ventilation system design project contest among third-year students of “Heat and Gas Supply and Ventilation” Chair of the sanitary-engineering department of KNUCA. The combination of practical experience, expert assessment and valuable prizes offered by the company is intended to encourage talented students to consider a career in the ventilation industry. While focusing on the activities to sustain the current operations VENTS also cares about the future. Each spring the company organizes field trips to the factory for the schoolchildren of Boyarka town. And who knows: some day some of the students fascinated by ventilation equipment today may get proper qualifications and make a successful career at our factory. 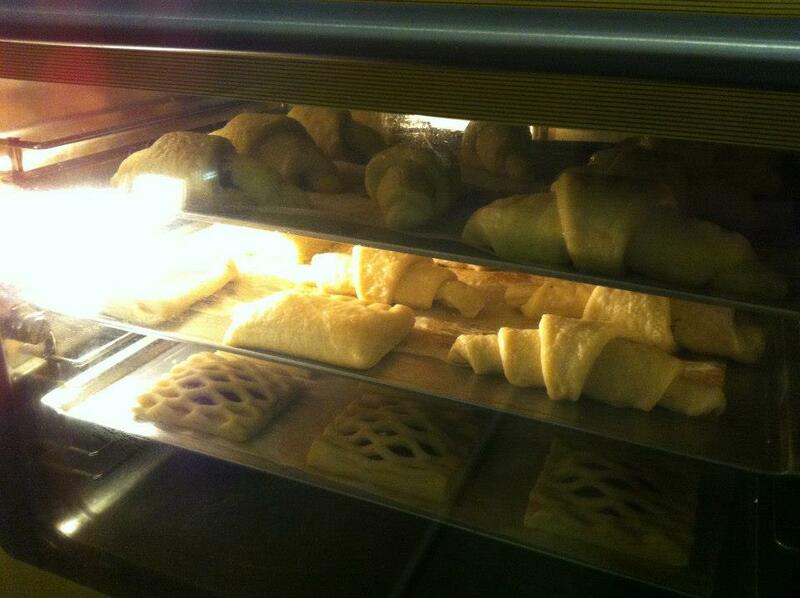 Here at VENTS work is not the only thing we care about. The company organizes various entertainments for its employees such as excursions and corporate parties as well as subsidizes trips to Ukrainian health resorts, visits of concerts and theaters. The VENTS employees choose an active lifestyle. 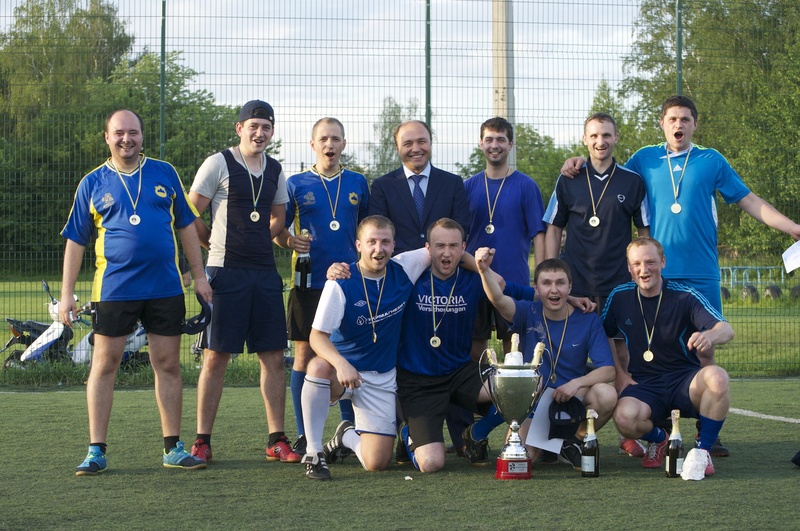 For the third year in a row the company runs a mini-football tournament “VENTS FOOTBALL CUP” among the employees at the end of May. 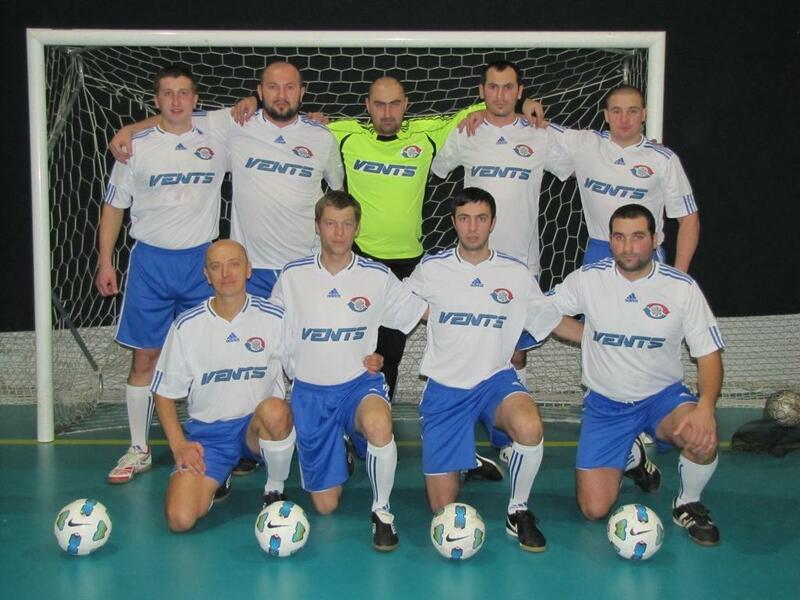 In addition to the corporate championship the VENTS football team defended the company’s honour in the prestigious “Business League” Kyiv City Championship 2013/2014. We also support our partners from Khmelnitsky who organized a VENTS football team to take part in the City Mini-Football Championship. Besides building sports teams, being in the ventilation business is a great opportunity for good deeds. Every year VENTS takes part in the annual “The Chestnut Run” charitable sporting event to raise funds for saving dozens of baby patients of the Infant Cardiology and Cardiac Surgery Centre of the Ministry of Ukraine in the city of Kyiv. Do not stand on the sidelines. Help, engage, create and develop. These core principles are cherished by our entire staff and reflect the VENTS’ stand on social citizenship. Since everyday work makes up for the most of our time we do our best to make our workaday life as comfortable as possible. VENTS has succeeded in creating a unique working environment where work is a welcome part of one’s life and where being part of the ventilation industry means certainty today and confidence in the future. Antibacterial Coating of VENTS Ventilation Products: Say ‘No’ to Germs!